Come monsoon and you like to sit by the window and watch the rain drops fall. A cup of piping hot tea or coffee along with some pakoras equals happiness during a rainy day! Monsoon is also known to be very dull and gloomy. Your house is a mess as you can find clothes all around waiting to get dry. Don't let the gloom ruin your happy mood. You can brighten the decor of your home by making these simple and effective changes to your home. The best and the easiest way to change the look of your home instantly is by investing in a couple of colourful bed sheets for your room. 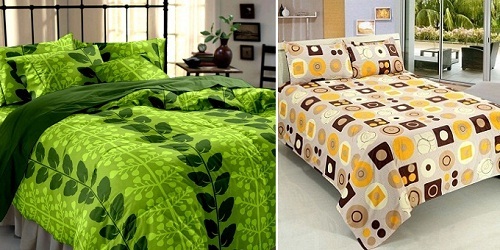 As it is mostly dark during monsoons, it is advisable to choose bright and colourful bed sheets to beat the gloom. Make sure you pay attention to the fabric, colour, and pattern while selecting a bed sheet. You can go for shades of red, green, blue and yellow. The reason why we are recommending lighter shades is that it increases the light in your room and makes it look spacious. Let's look at the drawing room! Monsoon is a good time to change your window curtains. Add a refreshing look to your drawing room by changing your window curtains. When it comes to curtains, apply the same rule of choosing lighter shades as it allows ample sunlight to enter your home. 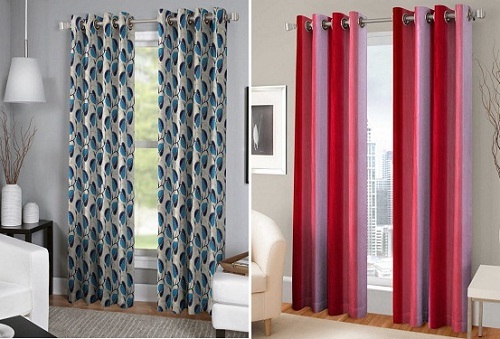 Make sure your curtains are lightweight as heavy curtains will get damp and take a lot of time to dry. Along with curtains, you can also consider changing your cushion covers. Swap those darker shades for bright colours. Changing cushion covers instantly enlivens the decor and makes it look fresh. Adding a rug or carpet to your living room is much easier and cheaper than getting a wall painted. Make sure you select a colour that complements the colour of your sofa and other decor items. If you are investing in a printed carpet, make sure the rest of your decor items are plain and simple. The advent of monsoon brings the moist smell in your home which is quite unpleasant. Place some scented candles in your house to spread pleasant aroma all around the house. Candles will be useful in case of power cuts too.